What a crock–another white male (British, this time) telling us why men are so much better than women. GRRRR. This is supposed to be the 21st century, not the 19th. 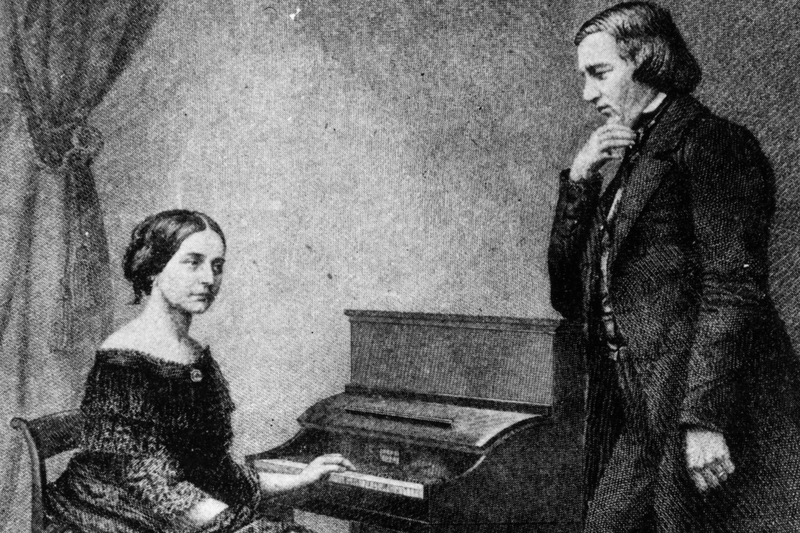 “Last week a 17-year-old girl forced the Edexcel exam board to change its A-level music syllabus to include the work of women composers. Jessy McCabe, a sixth former at Twyford Church of England High School in London, started a petition after studying gender inequality. Good for her, you might think. But is it good for A-level students? Today is Beethoven’s birthday, and in his honor, I’m featuring a work of his which is one of my favorites–Violin Concerto in D.
I don’t know what acoustic properties make it so, but I find the violin one of the most appealing and expressive of all the instruments. That you find it used in nearly every type of music in almost every country-from classical to country, from Indian to Arabic, from gypsy to jazz-bespeaks of its versatility. Maybe it has to do with its ability to express a wide range of emotions. Indeed, the violin can sound happy, sad, haunting romantic, energetic, precise, lush, sparse and above all joyous. Beethoven’s complex use of this instrument in his concerto seemed to capture and distill for me so much the joy of being alive. I find the piece passionate, but unlike Brahms, whose Romanticism sometimes seems almost over the top, Beethoven managed to keep things under control. Not quash them, mind you, just manage them. It starts out with four ominous sounding drum beats, on whose heels quickly follows a statement of the theme by the wood winds. The orchestra then picks up the theme, introduces a second one and plays variations on them for a good three minutes before the violin begins. It immediately launches into a number of variations that embroider on the four drum beats and the melodies stated earlier. It seems for a while that the movement will have a sad tone to it, but eventually the violin becomes more and more soaring and you realize it will rescue the piece from wallowing in sadness. As for the third movement, marked Rondo (Allegro), I can’t think of a more exciting piece of music. The violin just skips along, threading its way in and out of the melody around the orchestra with endless variation. I find it so life affirming. When I lie on my death bed, breathing my last, I want someone to put this movement on. It will make the going so much easier. I do not say this to be morose. To me it would be a perfect cap on a life well lived. Think about Beethoven. He was devastated by his deafness. Until it struck him, he had a career as a successful pianist-with the status of a superstar of today. But his deafness ruined his career as a performer. After his last concert, which was reportedly a disaster, he sank into a non-productive depression for two years. When he emerged he went on to write his greatest works, starting with the Fourth Symphony and the Fourth Piano Concerto. Rather than sink into self-pity, ruing his fate, he just said “Yes” to life and became great. Can’t find any female classical composers born today, so why not feature this classic music video? When I had finished it, Sue helped me find an editor, whom I hired. He made it better. Then I took it to my writer’s group and got feedback from my two fellow writers, Shelley Crocket and Allegra Chapman, who gave me even more feedback. Then I sent it to the New York times, and pitched it to the editor of “The Couch.” He never wrote back. A few months later, Sue wrote to tell me a friend of hers, Sherry Amatenstein, a therapist and writer living in NYC, was compiling a collection of essays written by therapists and what I call “therapees,” i.e., people like me who’ve gone to a therapist. Sue told me Sherry needed an essay and gave me advice on how to pitch it. Sherry loved it, and suggested a few more edits and a different closing. Rather than be discouraged, I got the old brain-box started again, and worked out a much stronger last paragraph. 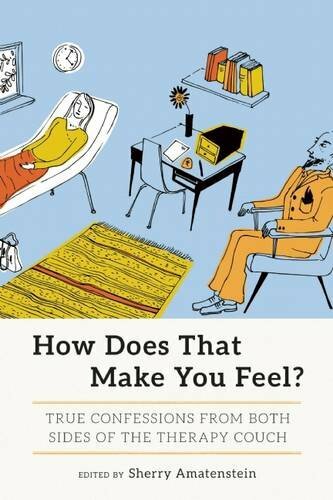 My essay now appears in the final anthology, “How Does That Make You Feel?” that was just published by Seal Press. 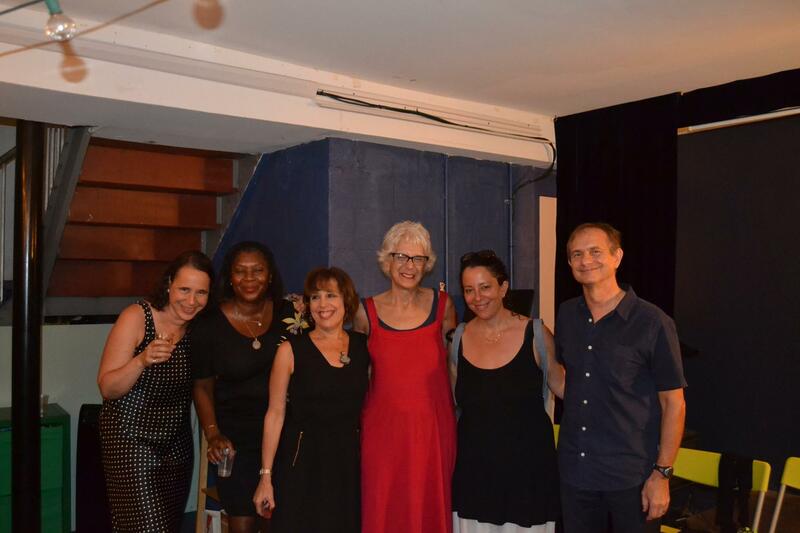 We had a book event at the Word bookstore in Brooklyn on Thursday night, where fellow essayists, Sherry, Beverly Donofrio, Pamela Grossman, Jenine Holmes, Amy Klein, and I read from our essays, had a panel discussion, and then took questions and answers from the audience. We hadn’t received our authors’ copies yet from the publisher, so this was the first time I got to see the completed book, but better still, I heard the powerful stories and beautiful prose of the others. Check out the bios of the other authors here. You can read the gracious reviews and articles about the book at the following links: The Washington Post, Tablet Mag, and on Atlas Wonders. Also some great blurbs from readers of the advance copies. There are a number of events that Sherry has organized on the left and right coasts. See if there’s one near you here. I’m so grateful for having met Sue, who has been a wonderful teacher and mentor, Sherry, who’s a great editor and writer herself, and my writing group buddies. With their wisdom, the time they took reading, their gift of feedback, and guidance, I felt truly the power of community and friendship. And I look forward to reading the rest of the essays in this unique anthology. How Does That Make You Feel is available on Amazon and other bookstores. A fellow blogger with eclectic musical tastes has a site with a musical medicine show every Monday. Something to heal everyone. But check out the song in this one post. It was used in Breaking Bad, but this is the original version. Sounds like a Candomblé waltz and the singer’s voice will give you chills. Welcome to the Monday Music Medicine Show – THE 42! Round and Round she goes, where she stops nobody knows. Sometimes I don’t need to understand the lyrics. The music itself speaks volumes to me, of something inner, mysterious and necessary. Though just listening to the voice sing words is a sensual feast of unknown sustenance.